Buy 32 or more for $12.34 each. 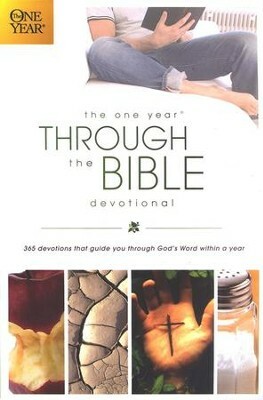 Learn essential teachings of the Bible and draw near to God by reading through The One Year Through the Bible Devotional. Each day you'll be given a daily Scripture reading to read along with a one-page commentary. 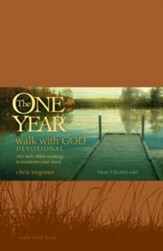 You can begin your devotional journey any day of the week. Just find today's date and start reading! Scripture selections taken from the NLT (New Living Translation). Q: Is this a schedule of Bible readings in chronological Bible time order? Thank you. Thank you! 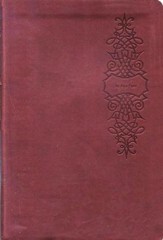 This Bible is set up by topic or genre. Each day has a different topic and the scripture listed supports that topic. This is not done in chronological order by Bible time. 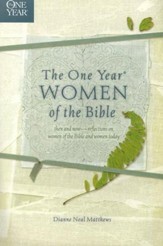 I'm the author/artist and I want to review The One Year Through the Bible Devotional.